New York City is once again the site of this year's World Science Festival. The annual event kicks off tomorrow, May 30, and runs through the weekend at various locations around town. Though we hesitate to call it "action-packed," the festival should appeal to fans of MythBusters as well as to those looking for more cerebral panel discussions on topics like "The Enigma of Genius." All of the events and ticket availabilities are listed here on the festival's website, including a giant street fair on June 3rd in Washington Square Park and a big multi-media happening with a score by Philip Glass on Wednesday night. 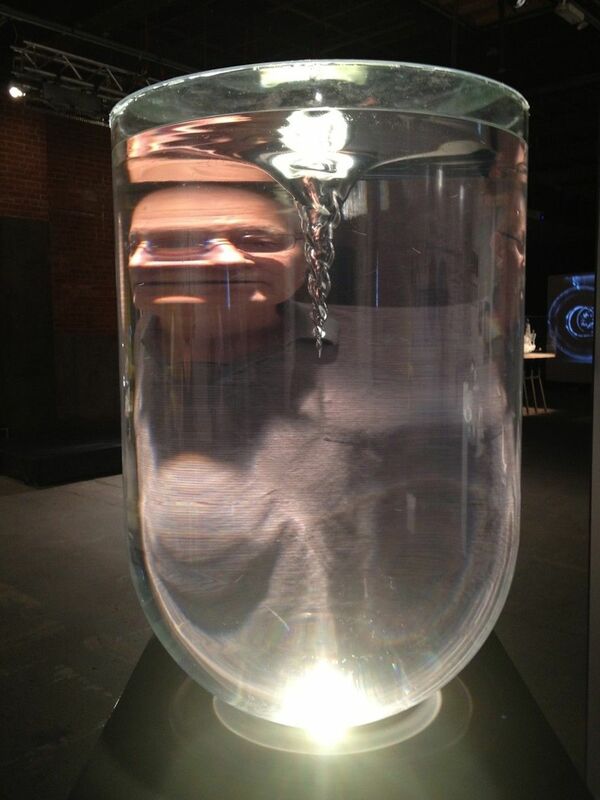 To get a head start on the week's activities, we headed over to Eyebeam Art & Technology Center (540 West 21st Street) for a sneak preview of one of the festival's free exhibitions called "Surface Tension: The Future of Water." It was put together by Dublin's Trinity College to "bring together artists, designers, engineers and scientists to explore the future of water." It's on view here in NYC until August 11, so be sure to check it out. Some of the cool things that caught our attention were a giant waterfall that spells out words using drops of water called "BIT.FALL" by Julius Popp, a whirlpool in a jar by Petroc Sesti and a fantastic musical instrument, "Hydrocordion," by Di Mainstone. Check out the videos and photo below by DB Burkeman and you'll get the idea.